Visit Kiawah Island during the holidays to experience everything it has to offer! Your family will have a blast and the weather is still beautiful year round! 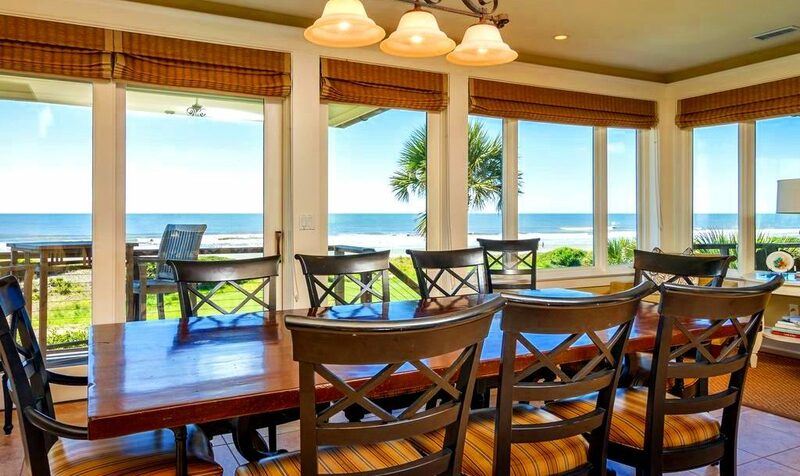 ESPM Vacation Rentals will guide you as you plan your holiday gathering! Thanksgiving focuses on the dinner table so you want to have the perfect set up. Our homes come with fully equipped kitchens for meal prep. Many also have lovely dining rooms too. 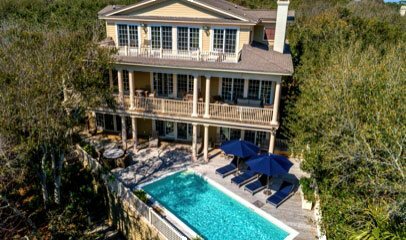 Can’t you just picture your family and friends gathered around a delectable feast overlooking a picturesque Lowcountry scene? You don’t want to cook on vacation? No problem! Many area restaurants and shops offer a great alternative. For example, the Village Market offers to-go Thanksgiving meals cooked and ready! The family-friendly Jasmine Porch buffet is filled to the brim with traditional favorites. 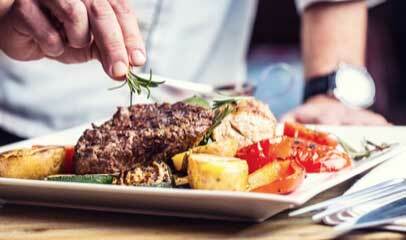 The feast at the Sanctuary is an upscale dining opportunity and offers a Lowcountry twist to classic dishes. There is also a special buffet there just for the kids! Want a view with your meal? Check out the Atlantic Room, its aptly named dining area has panoramic windows overlooking The Ocean Course and of course, the ocean! The day after Thanksgiving, Mingo Point hosts the popular Oyster Roast! It is the perfect meal for those tired of turkey. However, there are other items on the menu if you aren’t a fan of oysters. For example, BBQ, holiday side dishes, kid-friendly options, and many more! Santa also makes an appearance for photos and there are craft activities too. Thanksgiving here isn’t just about the food. There are plenty of events and activities for all ages. Participate in the Turkey Trot, a fun run/walk, on Thanksgiving morning. Or, ring in the Christmas season by watching the tree lighting, cookie decorating, or making a “sand” man in the family sand sculpting contest! For a full list of holiday festivities and meal options: Kiawah Holiday Events . Christmas centers on your loved ones above all! Kiawah goes all out with beautiful decorations and fun activities for all ages! For instance, Kamp Kiawah offers plenty of crafts and games for ages 3-11. Be sure to go into the Sanctuary hotel to see the lobby Christmas tree. Not enough lights and shimmer for your crew? Check out the annual Holiday Festival of Lights on nearby James Island. It is one of the largest light displays in the Southeast and definitely worth the trip! Locals tip: try to go during the week, the weekend lines are quite long. While there is of course plenty of do on Kiawah, historic downtown Charleston transforms into a Christmas wonderland. Charleston is so popular during the holidays that the Visitor’s Bureau set up a website dedicated to all things Lowcountry Christmas. Take a romantic horse-drawn carriage ride on cobblestone streets. Check out the Christmas Eve candlelight services at several historic churches. There are also several stops on Santa’s journey through our area, plenty of photo opportunities! New Years is one of the most popular times to visit the island. Kamp Kiawah offers a Kids Night Out for ages 3-11 and Teen Night Out for the older kids and teens. While the kids have their own party, head to dinner or celebrate the New Year with a moonlight walk on the beach. Want to take things up a notch? Attend the biggest party in the Lowcountry! The Yorktown Countdown takes place aboard a World War II era aircraft carrier! Do you need a few more reasons to try our area for the holidays? 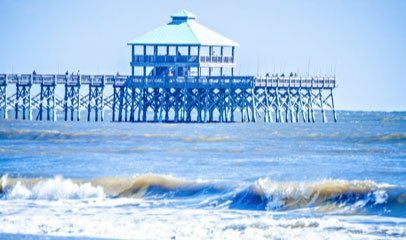 Our friends at the Charleston Visitor’s Bureau have put together this Top Twelve list to help! You’re sold, the holidays here sound awesome! Now what? Check out our amazing vacation rental properties. We have some beautiful and comfortable homes just perfect for your holiday gathering! Comment below with your favorite Lowcountry holiday tradition!